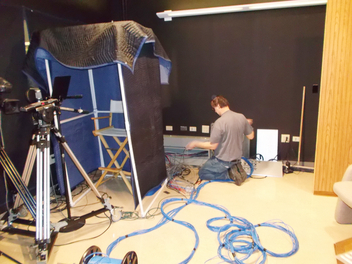 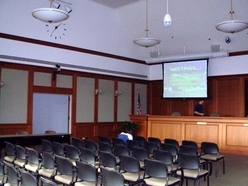 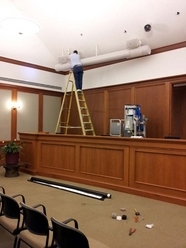 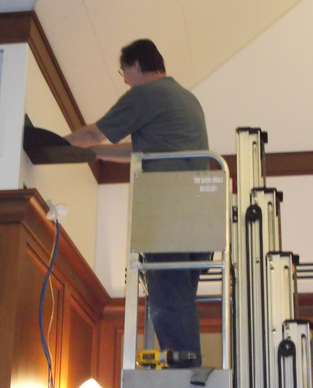 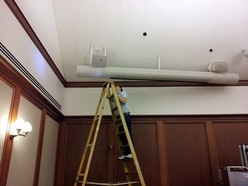 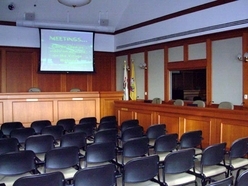 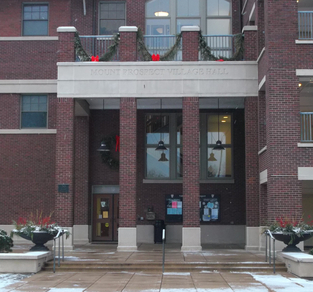 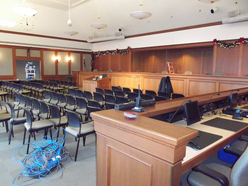 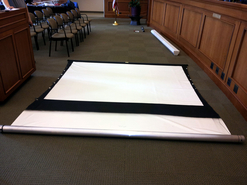 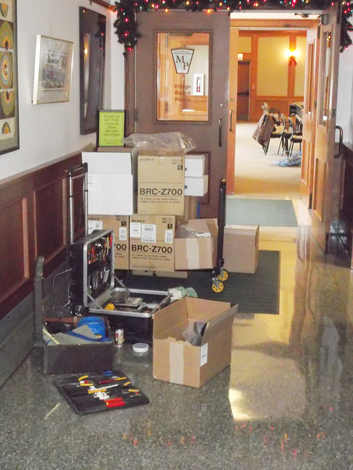 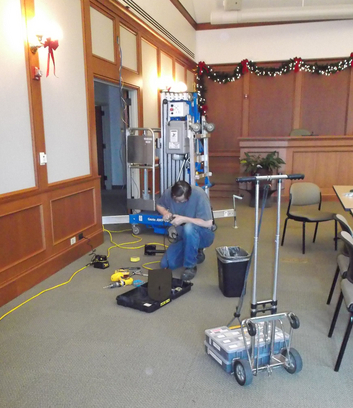 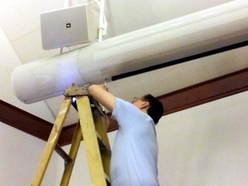 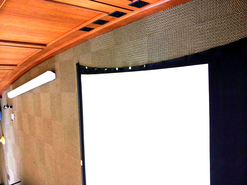 After nearly 10 years the two (2) custom projection screens in the Village Board Room needed replacement. 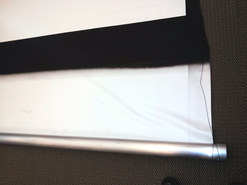 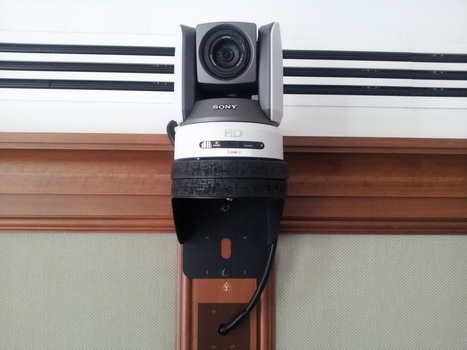 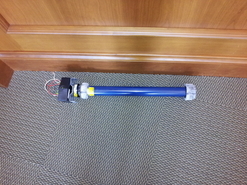 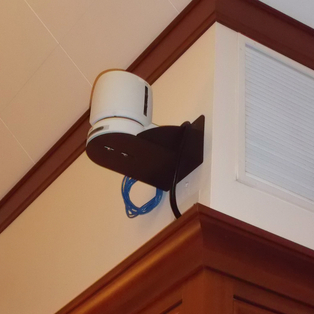 Custom spacers were fabricated to raise Camera 2-1/2" for a better angle to the Staff table on the opposite side of the room. 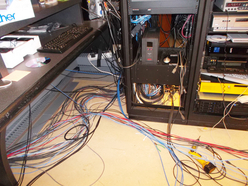 Tom Swiderski pulling out the old coax, control & power cables as we prepare to pull new CAT6 cable for the Vaddio/Sony Camera system.